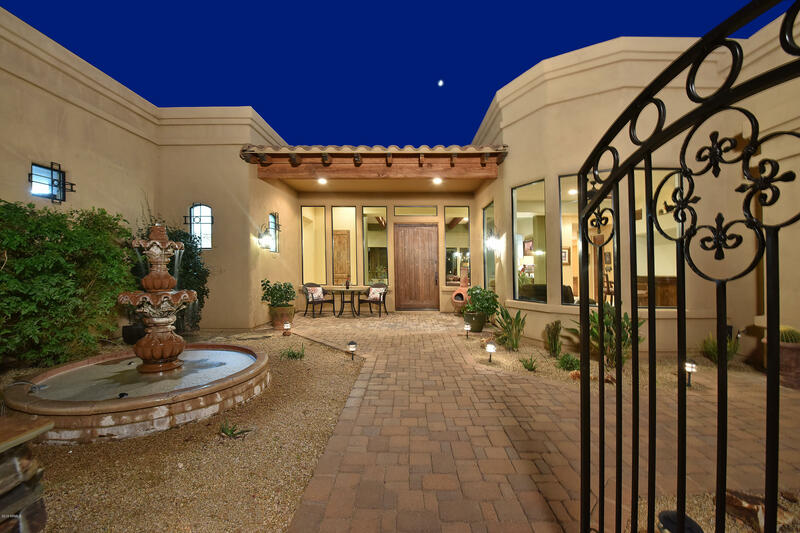 All W2 NE4 SW4 NE4 SW4 SEC 31 homes currently listed for sale in Scottsdale as of 04/25/2019 are shown below. You can change the search criteria at any time by pressing the 'Change Search' button below. "Enjoy an upscale lifestyle in this peaceful desert setting. Entertain guests and enjoy family gatherings in this resort inspired backyard on 1.25 acres with views in alldirections!! Enter the gated courtyard to an old-world atmosphere complete with Cantera fountain, tumbled stone walkway, lush landscaping and a European inspiredbistro setting. A spacious open concept family room can be the centerpiece to any size family event. Relax by the cozy fireplace or prepare a scrumptious meal in thisamaz"